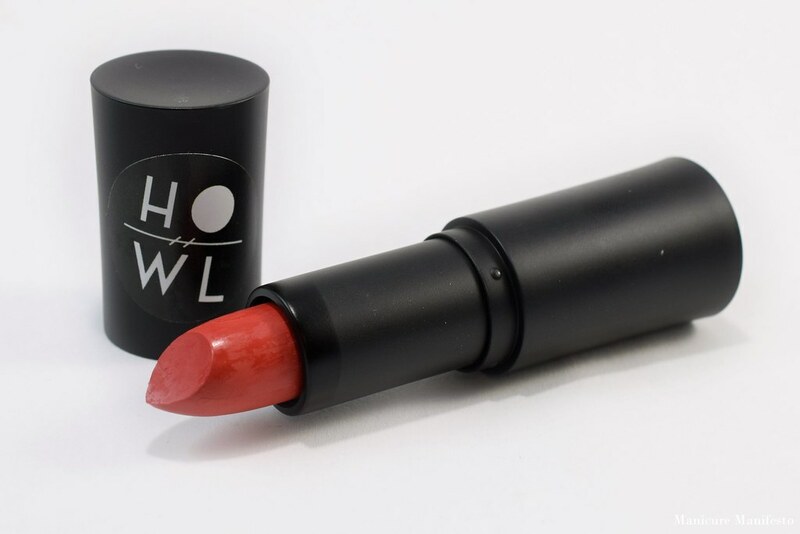 I'm back with the seconds half of the Howl Cosmetics core line now being sold by Hello Waffle Cosmetics. Check out my post from earlier this week featuring the more neutral shades along with some general info on formula and finish. All caught up? 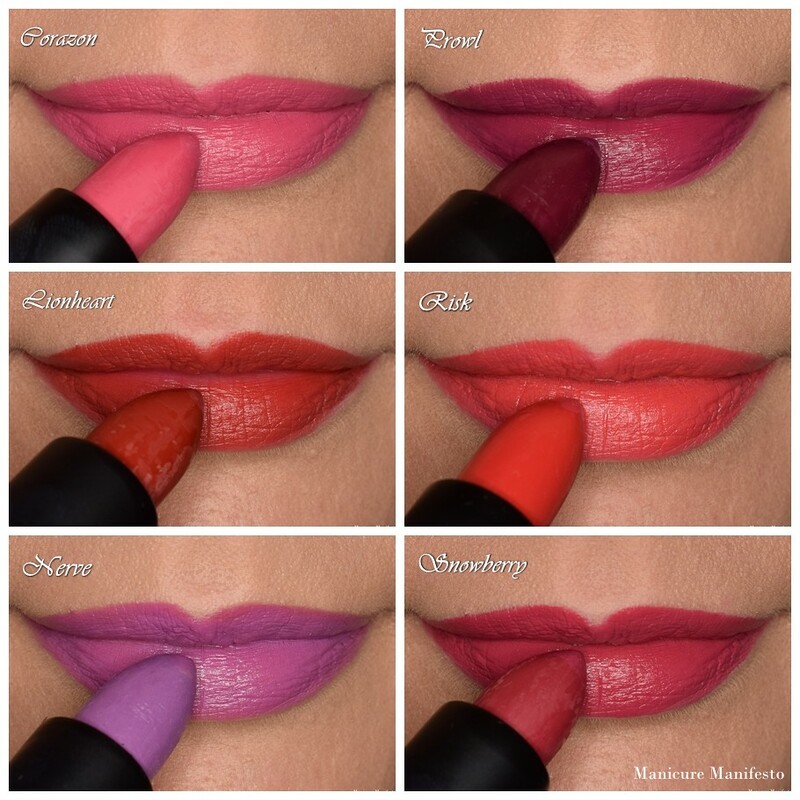 Let's take a look at swatches of the bright and bold shades from this collection. All the following swatch photos we taken in indoor lighting so keep in mind the colours may lean a bit warmer than natural shaded lighting. 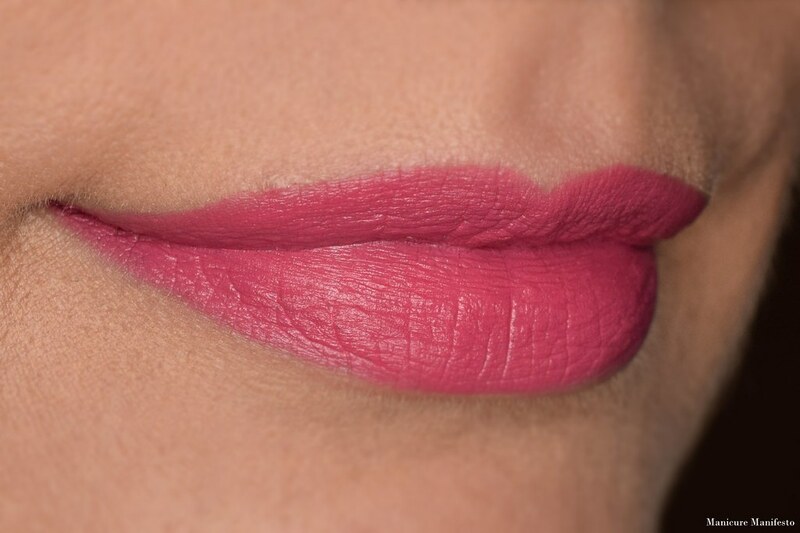 Corazon is a vivid medium pink creme. 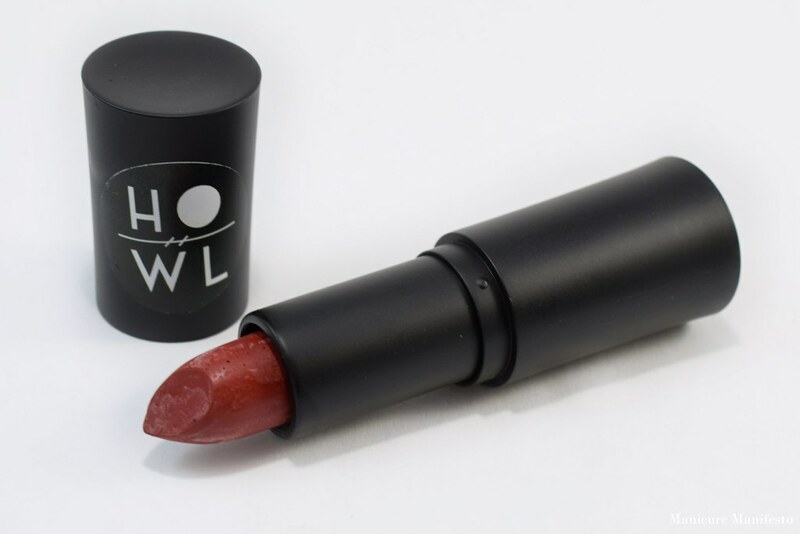 The formula tugs a little bit on the lips when applying at first but after a swipe or two the bullet warms up and glides easily. 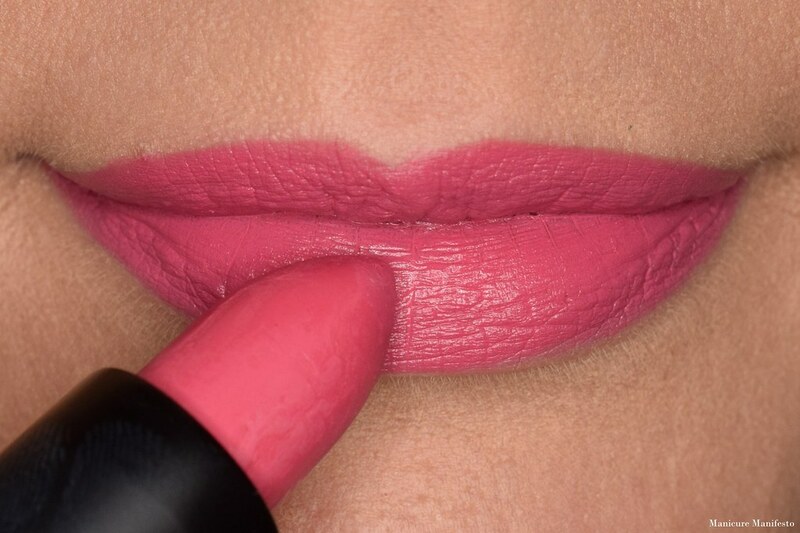 It had a slightly more matte finish the the other shades in the collection but was still comfortable on the lips. 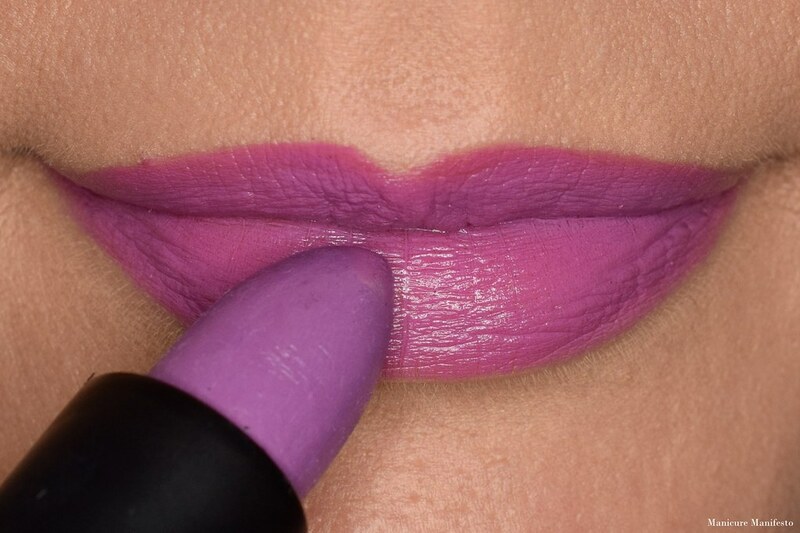 The vividness of this shade was impossible to capture on camera so please note that it is a bit bright to the than it looks in the swatch photos. 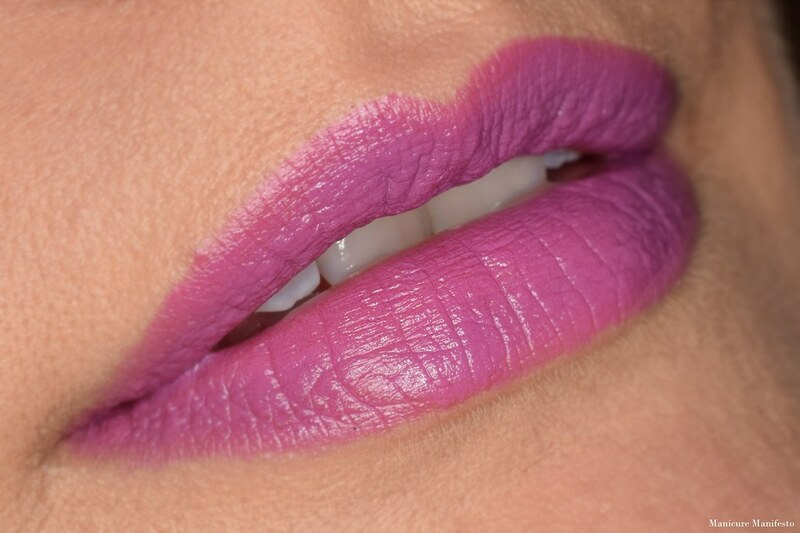 Nerve is a medium cool toned purple creme. The formula was creamier than Corazon and applied easily. I wasn't sure how this one would look on me based on the colour of the bullet. 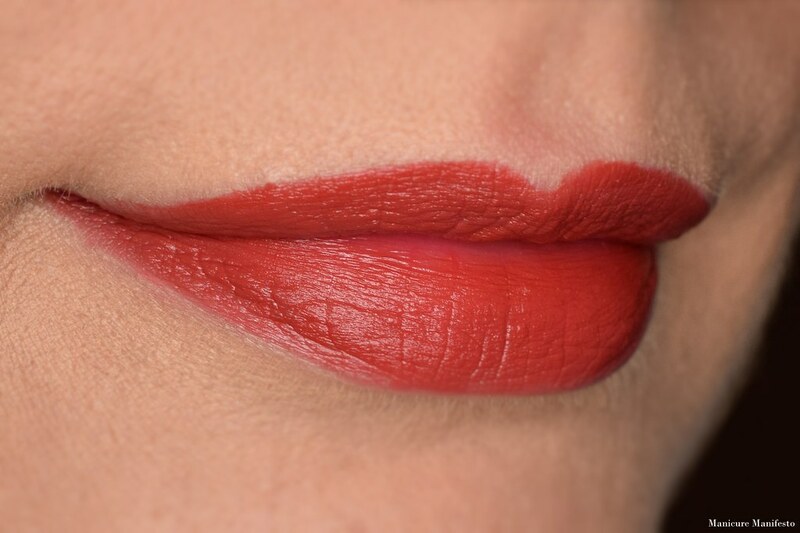 However, when applied it, the finish was slightly sheer (but not patchy) and picked up my natural lip colour resulting in a warmer finish. I really like the end result. 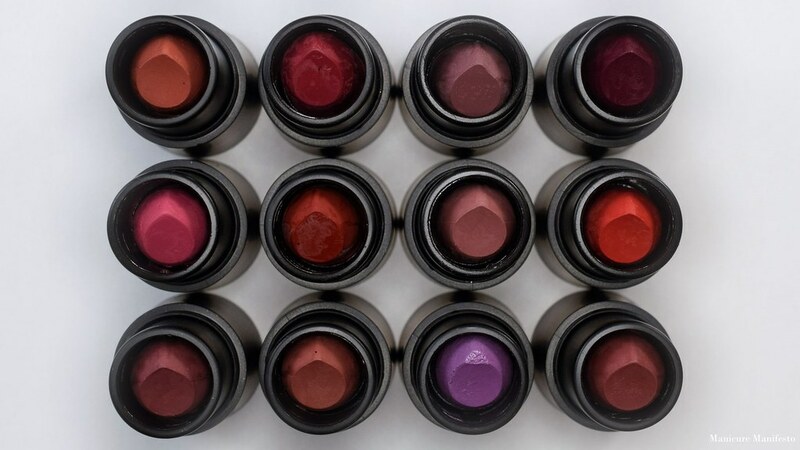 Like the majority of the shades in this collection, this lipstick has a satin finish - not quite matte but not quite shiny. 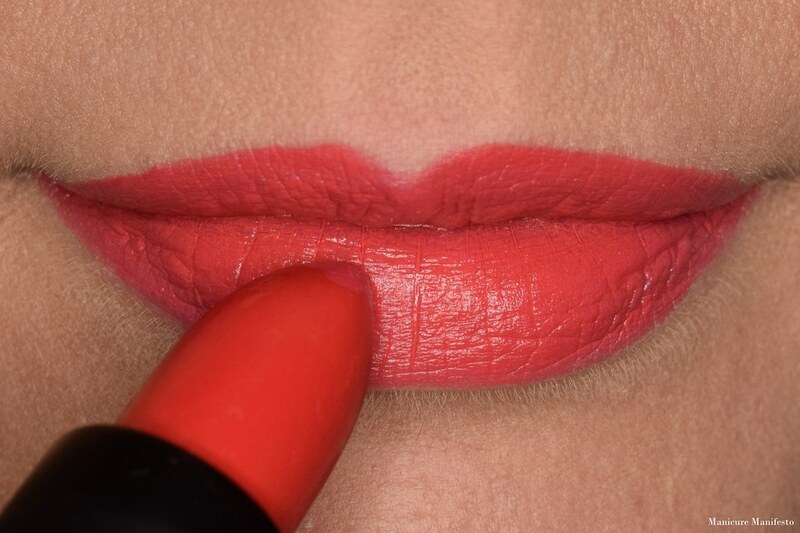 One issue I did have with Nerve, though not formula related, was that my lipstick bullet was quite wiggly in the tube. Even after gently pushing it farther into the base I still couldn't get it to sit still. This meant I had to be really gentle when applying it so I didn't squish the bullet into the side of the tube. Risk is a super bright red creme. Is neon red a thing? Because that's what this is. The formula was similar to Nerve and had a satin finish. This shade did gather in my lip lines a little bit but it wasn't overly noticeable. 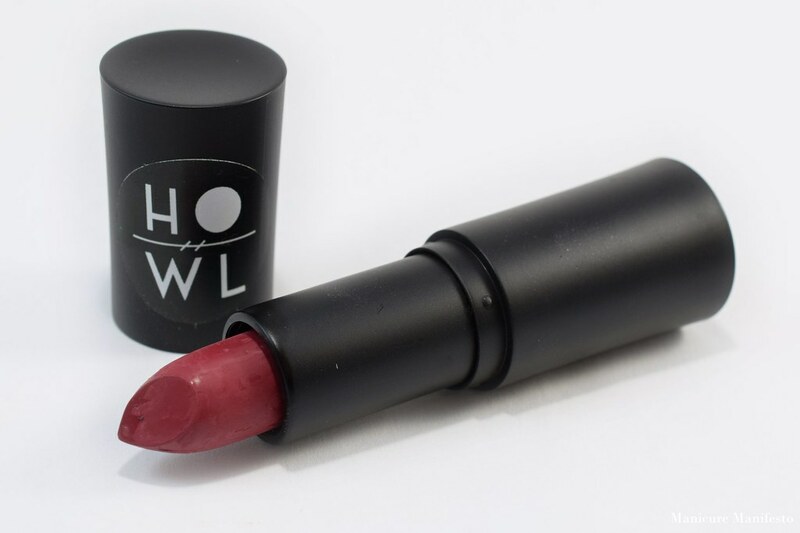 Note that this one will stain your lips a bright pink leaning red. Prowl is a deep berry creme. 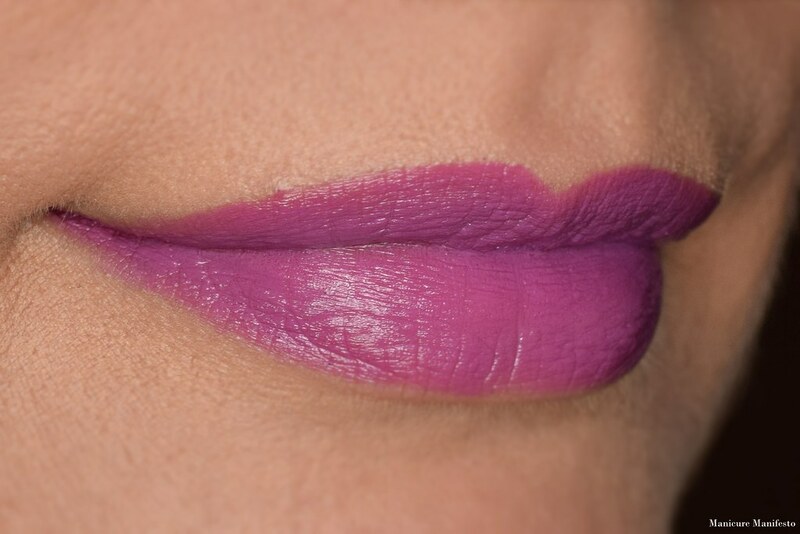 This one was a bit less pigmented then the other shades, but does layer up nicely. 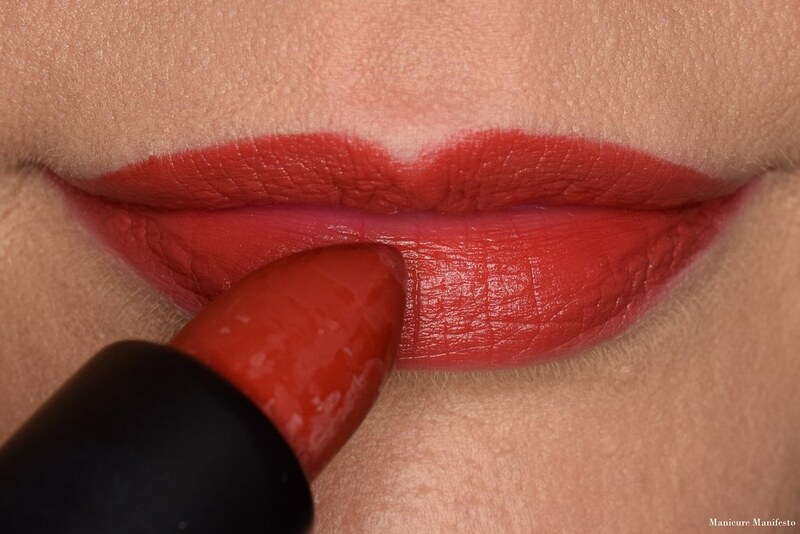 As a result it applies on the lips a bit lighter than the bullet looks. The formula was very similar to that of Nerve and Risk. 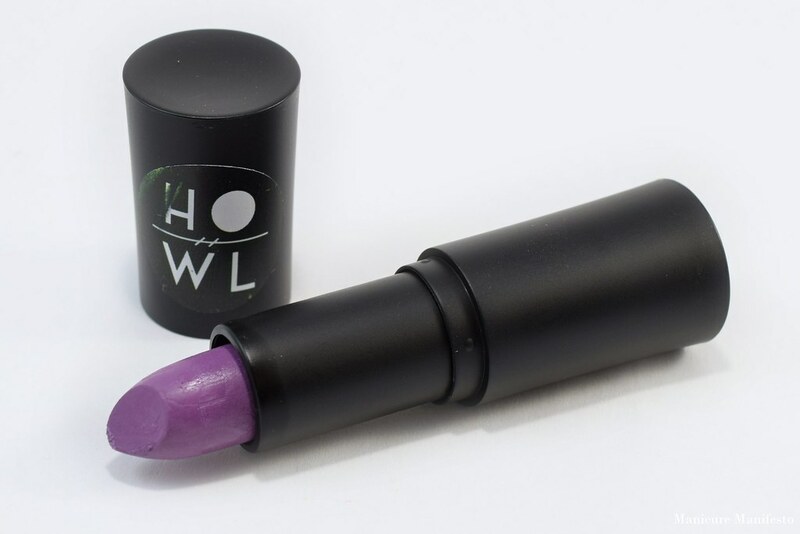 Note that Prowl will stain your lifts a medium fuchsia shade. 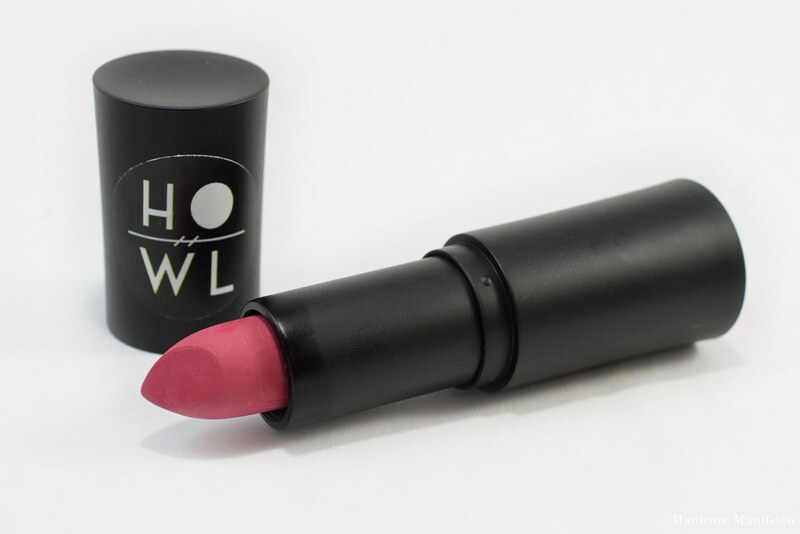 Snowberry is a medium red leaning pink creme. It had the same formula as Nerve, Risk and Prowl though it had a slightly shinier finish. 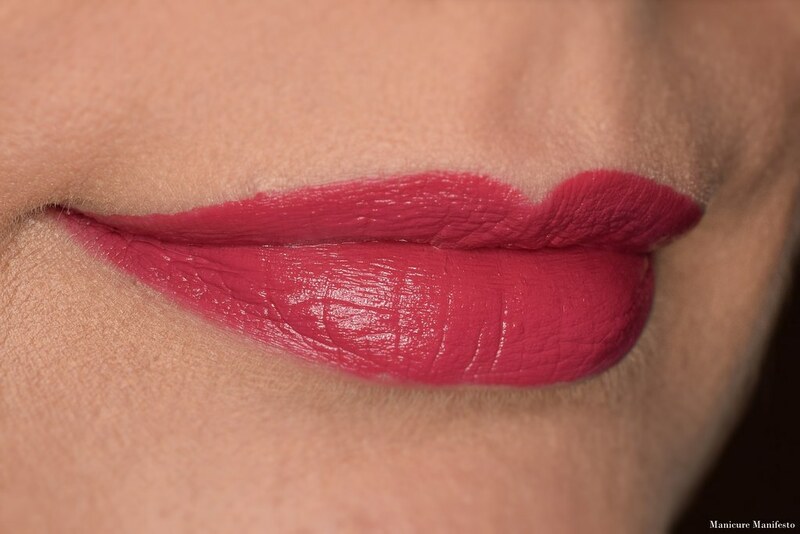 The pigmentation was perfect and left a muted pink stain on my lips. 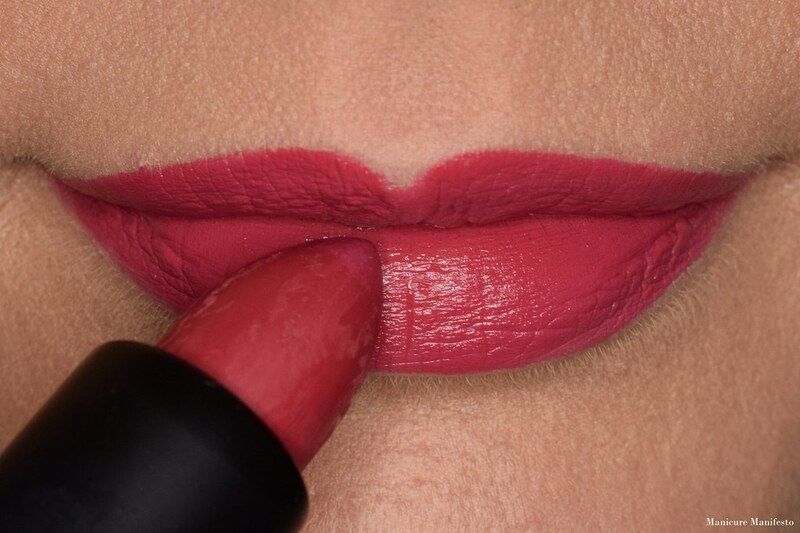 Lionheart is a medium brick red creme. 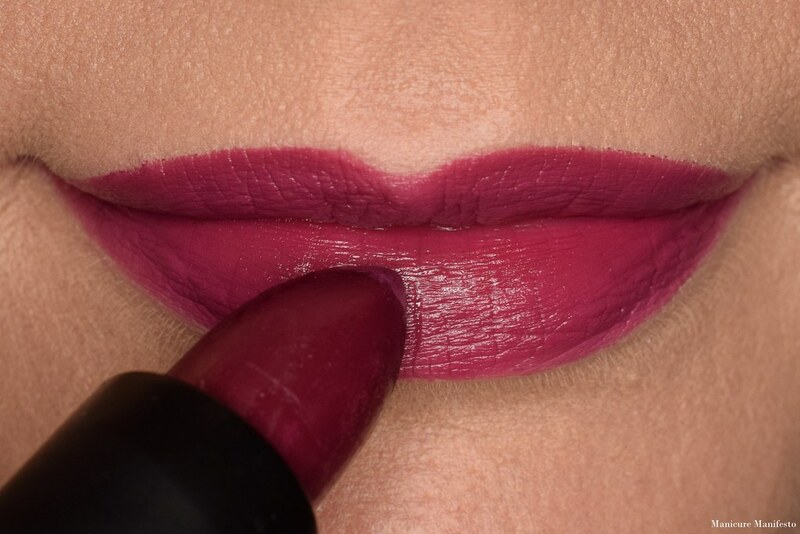 This had the same creamy but not super cream formula as the majority of this collection and a satin finish. The pigmentation was great on this one as well.